Key Points You Should Know Before Filling COMEDK UGET Application Form: COMEDK UGET, the most popular entrance exam of Karnataka, is conducted by the “Consortium of Medical, Engineering and Dental Colleges of Karnataka” (COMEDK). This exam facilitates admission to Engineering, Medical or Dental colleges of Karnataka. The exam provides an effective and transparent test procedure to the students to get a suitable college as per their merit. The COMEDK UGET 2019 Application form was released on 16th of January 2019. The counselling for the qualified students will be organized in the third week of July. The mode of counselling will be offline, i.e., the students must be present there for opting college of their choice. COMEDK UGET is a perfect gateway for the students who wish to get into one of the top colleges of Karnataka state. It is a huge opportunity that will help you to get closer to your dreams. Before filling the COMEDK UGET 2019 Application form, a student must know the eligibility criteria for the exam. The candidature of the candidates will be cancelled if they fail to meet the eligibility criteria. The basic academic eligibility criteria for appearing in the exam is to clear 10+2 Higher Secondary or equivalent examination from a recognized University with Physics, Chemistry and Mathematics (PCM) with English as your compulsory subjects and must score minimum 45% aggregate (40% for SC/ST/OBC candidates of Karnataka) in PCM at 10+2 level. After meeting the eligibility criteria, you become eligible to fill the application form. In order to fill the application form, the students first have to log in to the official site and fill all the required details. The last date to fill the application form is 19th April 2019 and no applications will be accepted after this date. Before filling COMEDK UGET application form, you must have all your mandatory documents like mark sheets, identity proof, photographs etc. Do not provide any wrong information because your form will be rejected. 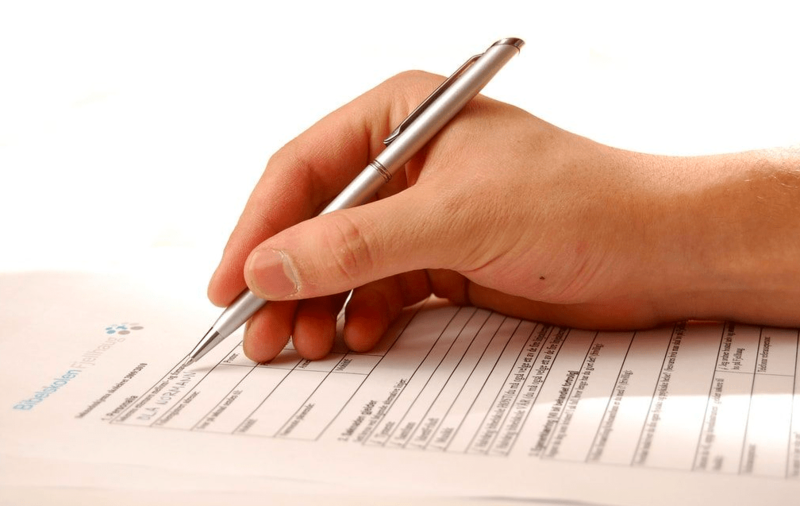 Ensure that you fill all the details carefully and before submitting the form check it thoroughly to avoid rejection. After filling the application form you are required to take a printout, as you might need it in future. You will be directed to a new window, then click on “click here for registration” tab and read the instructions carefully. Make sure you provide a valid email ID as you will be needing it for further reference. After clicking the submit button a new window will open. Cross check all your filled details and click on logout to submit the details. Log on to your Gmail account by using your email ID provided at the time for form filling. You would have received your user ID and password to login to your COMEDK account. Log in to your account using the above-mentioned details and access your account. First, the candidate is asked to select the stream and preferred course. Enter your personal details carefully like father’s name, mother’s name, ID proof, annual income etc. Enter your full address and pin code. Enter all your academic details carefully. Upload your photograph, signature and ID specifications. Mention your city preference and click on the “submit” button. Pay your examination fee by using net banking, credit card, debit card or by any other proper channel. Ensure that you upload the required documents in the correct format and dimension. Photo specifications: JPEG/ JPG format; Dimension: minimum 30 mm x 45mm; size: must not exceed 80 KB. Should be in black/blue ink and upload the signatures with the correct dimensions. JPEG/ JPG format; Dimension: minimum 35 mm x 80 mm; size: must not exceed 80 KB. Enter your email ID and phone number carefully and correctly. Select the test center which is closest to you. If the test center lies in some other city make sure you reach the city a day before to avoid the last-minute trouble. While paying your fees make sure you do not click on any button or close the window because the transaction may fail in such a situation. It is recommended that the students keep in mind the above-mentioned points before filling the application form for making a successful application.